Norwegian oil company Statoil and the Russian Rosneft started drilling the first exploration well in Lisyansky area at the Sea of ​​Okhotsk. 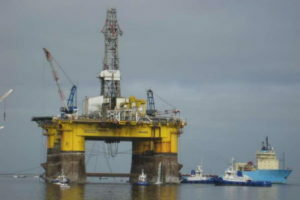 The offshore exploration well Ulberikanskaya-1 will be drilled into the Ulberikanskaya field, an year after the consortium of both oil companies received license. The drilling is carried out by the Chinese offshore drilling platform Nanhai-9, operated by China Oilfield Services Limited. The well is located on 50 nautical miles off Magadan port in Russian Far East at Sea of ​​Okhotsk. The exploration well is expected to be drilled during the next 4 weeks and the probes will be surveyed to show the exact quantity of reserves. Later during the season, Statoil and Rosneft will start drilling of second exploration well in Lisyansky area at the site Magadan-1, located on 53 nautical miles offshore. “The agreements reached open up new prospects for further cooperation between leaders of the oil and gas industry in Russia, Norway and China in the exploration of oil and gas resources”, said the Rosneft Chairman of the Management Board, Igor Sechin. Rosneft and Statoil ASA signed a Cooperation Agreement in 2012 to jointly explore areas of the Russian shelf and for Rosneft to join in the exploration of the Norwegian shelf. Under this agreement, the companies set up joint ventures, completed a series of exploration operations, including 2D and 3D seismic and geotechnical surveys. 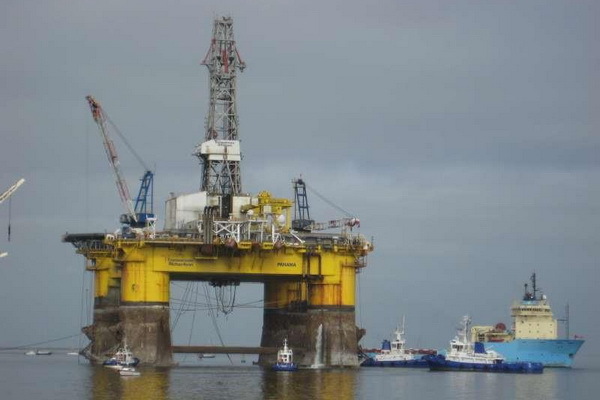 The offshore drilling semisub platform Nanhai-9 has overall length of 100.00 m, beam of 87.00 m and depth of 35.00 m. The drilling rig can operate at maximum water depth of 1524.00 m, while the maximum drilling depth is 7620.00 m. The rig was built in 1988 by Daewoo Shipbuilding & Marine Engineering at their Okpo Shipyard.